My son was walking home from work and walked under the bridge, under the inner ring rd, along bridge st. Under there there is two tunnel entrances, one has been bricked up, the other had been forced open. The next day he told some of the lads and they went in with only a bike lamp. They walked along a tunnel for about 200 yards and it still carried on. Does anyone know where this thing leads? Or whats it's for? Apparently it has now been welded shut!!!!! Bugger!! I'm sure these have been mentioned on secret Leeds before - but I cant find the right thread! 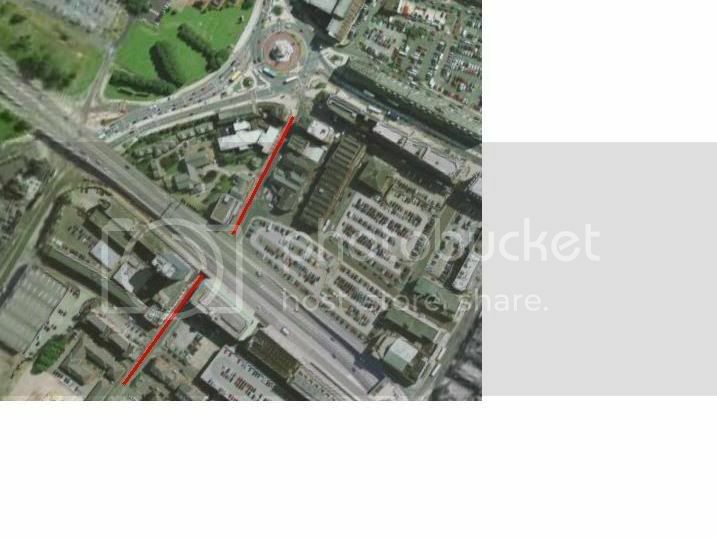 There still exists a tunnel from Bridge Street to the Old Woodpecker Pub or where it was on York Road, the entrance to the tunnel is on Bridge Street directly below the New York Road flyover, in the wall behind locked steel doors. I think this carried services Telecom cables etc. Yes your right there geoff. They were built to put all the utilities in, Gas electric e.t.c but they never really took off in Leeds. It would have made better sense than keep digging up holes in the road. Theres some pics on Leodis i believe. Like ferets down a rat hole..strike while the irons hot!!! Cheers Phil. As ever the oracle of all tunells and other such sub terranian thngymibobs!! I did look all over the site for reference but could see none, be no good down a bleeding tunnel would I?